Hey! I’m Crystal, owner and founder of Y2B Fit and Y2B tv. Thanks for stopping by to learn more about what we offer. If you’re looking to Find Your Fit without rules or restrictions, you’ve come to the right place. My fitness journey has been a long winding one (as I’m sure yours has too). I started teaching yoga and barre as my side hustle back in 2008 because I loved the way moving my body made me feel. Fast forward 6 years to the birth of my son in 2014, and I began to get really serious and passionate about sharing health and fitness with others. As someone who was naturally pretty fit, pregnancy and the postpartum period took a serious toll on my body image. I thought (naively) that afterwards I’d just “bounce back” to where I was pre-pregnancy. It didn’t happen that way. I learned that health and fitness are about much more than how I looked on the outside. They’re much more about mindset and how I felt on the inside. This led me to dig deep into my own struggles and insecurities with my body and mind. It inspired me to start Y2B tv and open Y2B Fit. I’m so proud and honored to have had the opportunity to share what I’ve learned with hundreds of people as they navigate their own unique path towards living an energized, vibrant, and healthy life. 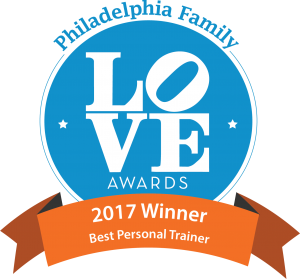 Clients have shared with me that our programs have helped them learn to enjoy working out, to exercise in a way that feels safe for their body, and ultimately achieve the results they were looking for. I absolutely love to hear the success stories of others taking control of their own health and well-being. So, take a look around the website, read the client testimonials, and email me if you have any questions.